Updated Tuesday April 9, 2019 by Greg Strowig. What does my athlete need? All athletes will receive a baseball cap and uniform top. The Minors, Majors, and Juniors Division will also receive baseball pants. All of this is yours to keep! Athletes will need to supply their own batting helmet, bat, and glove. Athletic shoes or rubber cleated shoes must also be supplied by the player. Male athletes will be required to wear athletic protection starting with the Rookie Division. Chest protectors or other under gear are encouraged in all divisions. Infield face guards are also encouraged, particularly in softball. They will be required in 2019. In the past, Franklin Little League supplied baseball helmets for use. Why the change? Given all the recent updates and changes with safety, the need for proper helmet fit is critical. For this reason, and even for health reasons, Franklin Little League feels it is in the best interest that players have their own helmet and not share with others. Can my child play on a team with their friend, a previous coach, or even a past team? Franklin Little League has a very high success rate of accommodating most requests. Our online registration form has a field to note your request. This is the best place to include your request because it follows your registration. Separate emails risk the chance of not getting matched to your registration and are discouraged. Past team requests are much more difficult to fulfill given the flux of some athletes moving up to the next division and new athletes moving in to the division. Please note we will do our best to accommodate your request; however, requests are not guaranteed. Please keep in mind, Franklin Little League strives to have balanced teams including the number of players, experience on each team, and player age mix. Franklin Little League discourages requests that “stack” teams as it takes away from the experience of other athletes in the program. For the Minor, Major, Intermediate and Junior Divisions all athelets will participate in a skills assessment to assist with placement of athletes on teams. Teams will be created using a draft system involving the team Managers and the Player Agent. At this level, parent or player preferences are no longer considered. What days are practices held? For the Tee-Ball and Rookie Division, practices are generally once a week unless there is more than one game scheduled in a week. Minors Division and above players should anticipate 1-2 practices a week. The Challenger Division does not hold a separate practice and instead incorporates time as needed into their scheduled game times. Franklin Little League aims to have the game schedule posted on the Franklin Little League website by mid-April each year. Once assigned to a team you may also view it on your online or mobile TeamWall application. You may also request a printout from your team manager. Please keep in mind, over a 1,000 games (including interleague games) are scheduled each season. Ultimately our final schedule depends on exactly how many teams we field for each division along with tournaments. Franklin Little League attempts to schedule divisions playing on similar days and times when possible. However there may be instances were some weeks there is one game, some weeks there are two games, and some weeks, it rains! Generally, Tee-Ball and Rookie Division games will be scheduled for early evening games on either Monday/Wednesday, or Tuesday Thursday. Minor, Major, Intermediate and Junior Division games will be scheduled for Monday evenings through Thursday evenings to avoid conflicts with players who also are on tournament/select teams. Challenger Division games will be held on Saturdays. Sundays are generally not scheduled for any games. However, exceptions to all of the above may be needed from time to time to accommodate interleague conflicts, rain make-up games, etc. We are going to do our best to schedule 16-17 games per team this season. Depending on how many teams are formed and whether there is a need or desire for interleague play, some of these games may be held at other area Little League fields, such as in South Milwaukee, Oak Creek, or elsewhere. For the Minor and Major Divisions, each season ends with a playoff series. These can add additional games. Franklin Little League will do it’s best to provide the earliest possible communication about these additional games. The Franklin Little League website main page will show if the Franklin or other area fields are closed due to weather. You may also receive communication through email, SMS message, or from your team manager. If you are unsure if a game is rained out please check the Franklin Little League website main page first. Please ensure you click on the rain-out banner to see which fields are closed. Sometimes other area Little Leagues close their fields but Franklin’s fields are open. Therefore it is imperative that you click on the banner to see which fields are affected. Every attempt will be made to reschedule rainout games, if possible. However, due to scheduling or team availability it is possible a rainout may not be rescheduled. Franklin Little League is always looking for qualified managers and coaches for our teams. It's a great way to bond with your athlete too! Managers will fulfill their volunteer time in full with their team responsibilities and no additional requirements are necessary. Rostered coaches will receive credit for half their volunteer time requirements and are thus required to provide additional volunteer time to complete the commitment. In addition, there are the more flexible options of the concession stand, Field Fix-Up Day, tournament announcing, Annual Picnic and Community Day, and other various opportunities that may arise to fulfill the volunteer hour commitment. Thank you in advance for fulfilling your volunteer hours. It helps keep our costs, and thus your costs, down. Does Franklin Little League have any fundraisers? Franklin Little League is proud to offer one of the lowest cost Little League programs in Wisconsin! In order to keep registration costs down, Franklin Little League participates in a formal fundraiser each season. Fundraisers may vary from year to year and the details will be provided at the beginning of each season. Franklin Little League is always looking for innovate ideas – so if you have one, please share it for consideration or attend a FLL Board Meeting! Our goal is to have all athletes and their families participate in the fundraiser. However, we realize some families would prefer not to. Starting in 2017, Franklin Little League will also offer an “opt out” option for families who would prefer not to participate in the fundraiser. The “opt out” option will be a flat fee and will be determined at the start of the season. All families will be asked to participate in the fundraising event or choose the “opt out” option. Thank you in advance for your efforts to help keep Franklin Little League fees as low as possible! 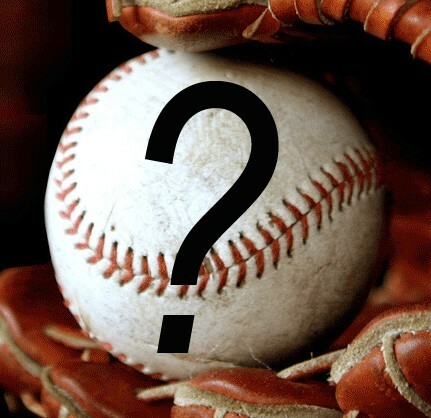 What is FLL refund policy (Regular Season Play and Fall Ball)? Please click here to see the official refund policy. In the past we have tried to extend the season with a Fall Ball program. Starting in 2018 we started running Fall Clinics as a way to not only build skills for the players, but for the coaching staff as well. Fall Clinics are an extension of the regular summer season and is a great way to get more playing time in our Wisconsin climate. It also affords a “play up” option in the Rookie, Minor and Major Divisions for those that age qualify based on standard Little League rules. Franklin Little League also offers co-ed Rookie Division Fall Ball. Since Fall Clinics are are designed as an extension program, it has a separate registration and fee. Fall Clinics are played on Sunday afternoons for 6 weeks, starting in mid-August. We cover all sorts of skills from fielding, pitching, hitting and provide instructional videos on our Facebook page (Facebook.com/FranklinLL) for the players to use as homework. Additional information on Fall Clinics can be found on the Franklin Little League website, typically in late July or early August. Roster spots fill up fast, so registering early is strongly encouraged to guarantee a spot.